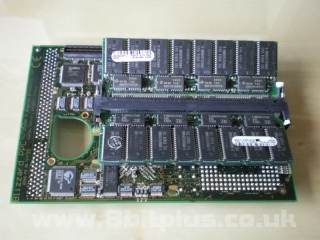 Information about the Blizzard PPC accelerator range for the Amiga 1200 computer. Specs, images and Performance. By 1998 it was clear that the Motorola series of processors was loosing ground to Intel’s Pentium range. Even with the mighty 68060 installed, the Amiga needed something with a bit more power. The PPC was already available in many Mac’s as standard or as an upgrade so this was a logical next step for the Amiga. 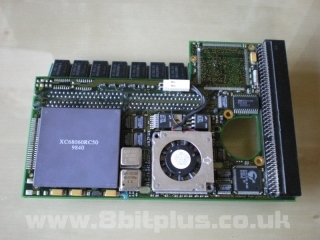 The move to PPC’s RISC architecture allows for higher performance and clock speeds the the Motorola 68k series. Phase 5, the long standing accelerator and add-on company were the first and only to get a card out on the market. Amiga OS was still based on 68k code, and with no sign of Amiga coading new OS any time soon. The PPC was designated as a powerful slave processor to do the hard work of 3D rendering, image decompressing and many other tasks while the 68k would get on with driving the OS. 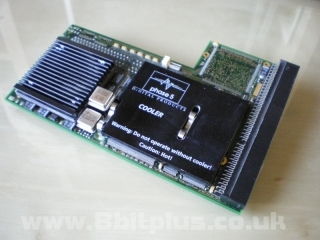 Phase 5 Launched 2 series of PPC card for Amiga. The Blizzard 603e for the A1200, and the Cyberstorm 604e for the A4000/3000. Both series of cards where available with various 68k and PPC processors. Lots of combinations were available. I have a 040@25 with PPC@160 and 060@50 with PPC@200, but it is possible to get 040 with PPC@240. All Blizzard cards use the 603e, All Cyberstorm cards use the 604e. The 604e had a larger processor cache and a number of other improvements over the 603e. The Cyberstorm is much harder to find and is more expensive than the Blizzard cards. Cards marked as 603e+ have an on-board SCSI controller for faster hard drives and CD-Roms. Blazzard cards can be used in the confines of the Amiga 1200 desktop case, but a few drawbacks to this approach need to be noted. Firstly the power requirements are larger than any other accelerator for the platform and although the A1200 can supply is with enough power, if there are any other upgrades working from the same power supply (eg. IDE adapters, Hard drives/CD-Roms, flashcards) then the strain on the PSU can cause it to fail or damage components. The 040 also draws more power than the 060, as it operates on 5v rather than 3v. The second concern is heat, especially with the 040 and faster PPC’s. Extra fans are good recommendation to cooling the cards and removing the trapdoor cover is vital. Often users add higher feet the the A1200 case to allow better airflow. DCE also later produced the Blizzard card. The cards are almost identical to the Phase5 cards, except for a few differences. The 060 is general the XC version witch runs slightly hotter. 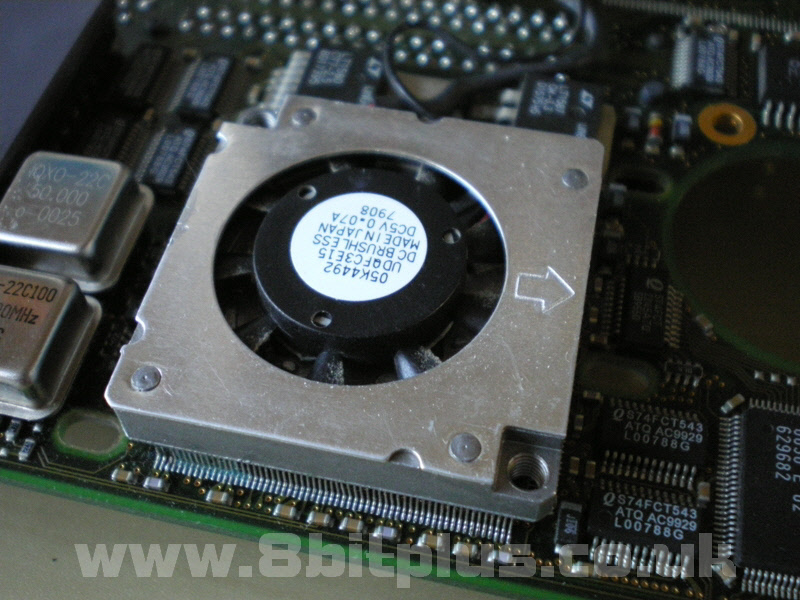 The PPC’s are the IBM versions with an improved active heat sink and fan. The Flash ROM is increased in size from 256kb to 512kb. 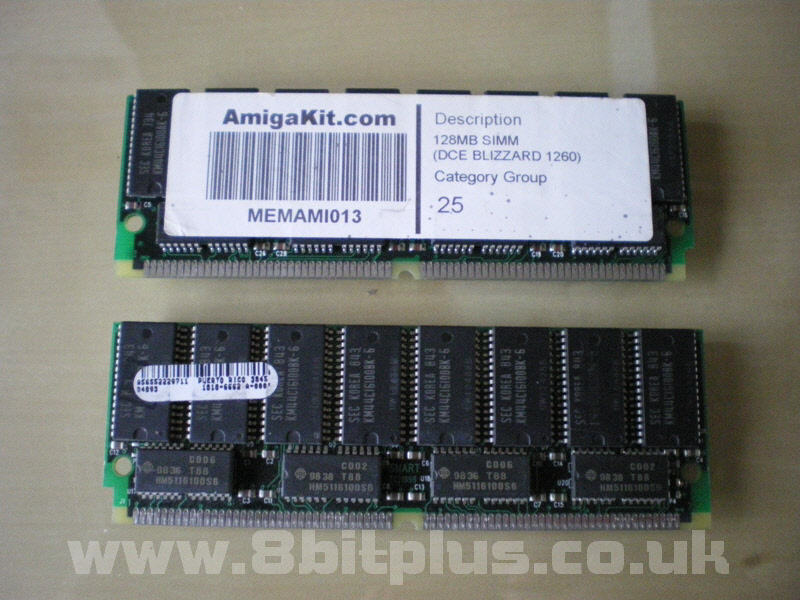 Up to 256Mb of Ram can be installed in the Blizzard in the form of 72pin Simms. EDO memory works fine. 66 and 70ns Ram is compatible too. Due to the large size of the 128mb simm’s and the fact that they face into the computer makes is unwise to use in the standard A1200 desktop case. The Blizzard is the best upgrade imaginable for the A1200. The 040/060 is easily compatible to other card options such as the Apollo or Viper 040/060 cards, with the bonus of a PPC as well. The card is based on the standard footprint of most A1200 Accelerator cards and fits quiet snugly into the trapdoor area. As already stated, using low profile Simm’s are a good idea as the card fits under the keyboard. Installing in a tower is very simple, Just make sure you have adequate ventilation around the card. Remember that 040′s run hot due to it’s power requirements. There’s a small range of PPC games for the Amiga PPC, most also utilising Warp3D. Most are conversions of popular pc games such as Quake, Doom and Decent. Another is the very noteworthy conversion is Wipeout 2097. Over the years many Blizzard PPC card got overclocked by owners. Its a easy job to overclock the Motorola 68k 040 or 060. Simply by replacing the crystal oscillator with a faster one. 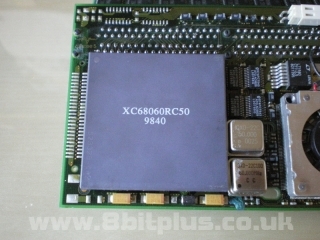 25mhz was the only available speed option for the 68040. Higher speeds of 30 or 33mhz are possible with overclocking. With even this small overclock it is recommended to improve the processors cooling because the 040 runs quite hot at speeds over 30mhz. A small fan and heat-sink is a good move. The same applies to the 060, even though the 3v chip runs cooler than the 5v one. At higher speed its only smart to add a heat-sink. On the PPC side of things, you have 2 options to overclock the CPU. First by the Crystal like the 68k, and also by the frequency multiplier. 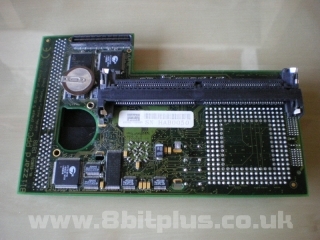 Its also possible to upgrade a 040 board to 060. The process involves removing the old processor, and the original crystal. Then a couple of resistors need moving to change the voltage from 5v to 3v. The Blizzard PPC is the most advanced hardware ever available for the A1200, and a fantastic thing to own. 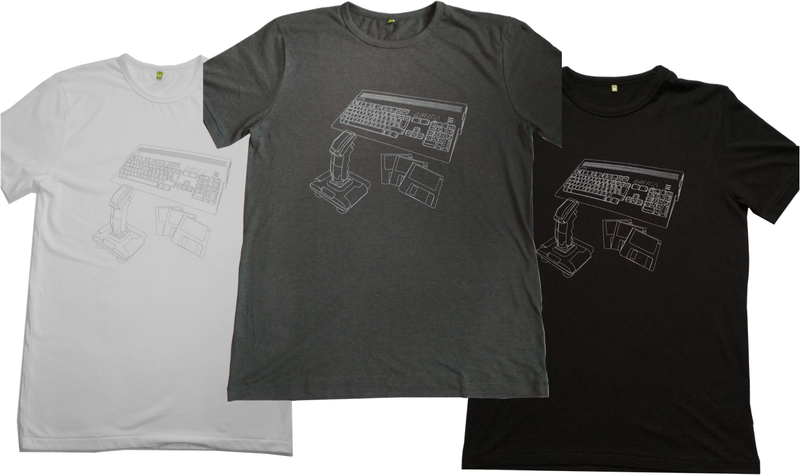 This makes them very desirable to Amiga owners and as such the prices are astronomical. Prices will soon be in line with the original prices if this trend continues. 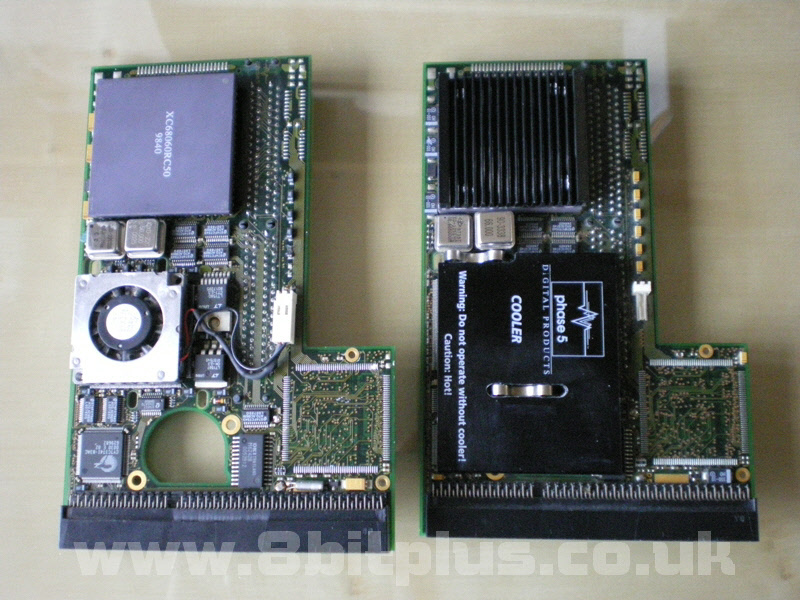 The 060 versions with 200+mhz PPC regularly sell for over £300 on eBay. Even an 040 and 160mhz PPC would expect to sell for £150-250+ (2011 price), even more if it has a Blizvision graphic card with it. Amiga’s are often not a cheap hobby, and many people make do with UAE emulation for their Amiga fix. This card offers the real thing and a feeling that cant be emulated.